The Museum of London tells the story of the capital and its people from 450,000 BC to the present day. 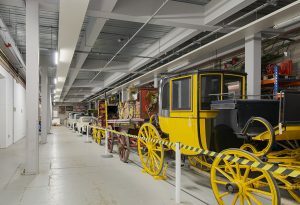 Their galleries, exhibitions, displays and activities seek to inspire a passion for London and provide a sense of the vibrancy that makes the city such a unique place. 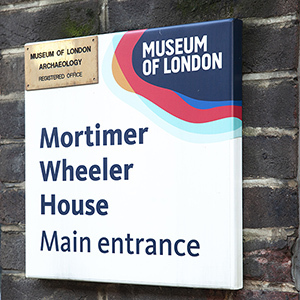 The Museum of London Archaeological Archive, based at Mortimer Wheeler House, is home to 6 million items and it is crucial that workers are fully aware of their surroundings. To upgrade the lighting system in the warehouse, the xcite Batten was identified as the ideal solution for aisles and walkways, creating a uniform light distribution, allowing people to move around the warehouse without accidents. 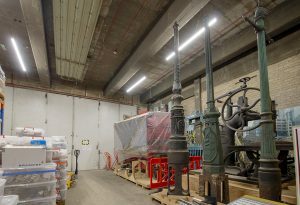 The xcite Batten is ideal for low level racking applications, such as at the Museum of London Archaeological Archive. 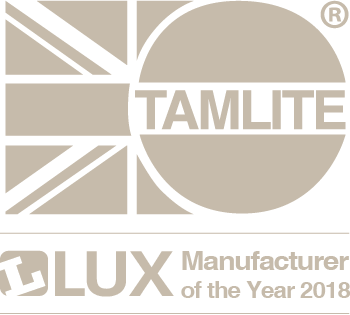 With a high-quality opal diffuser, there is minimal glare from the fittings, making it a safe working environment. 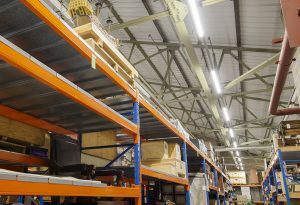 Several Batten models of varying outputs and sizes were specified for the project, to fulfil the requirements of different areas within the warehouse, and significantly improve the level of illumination throughout the building.